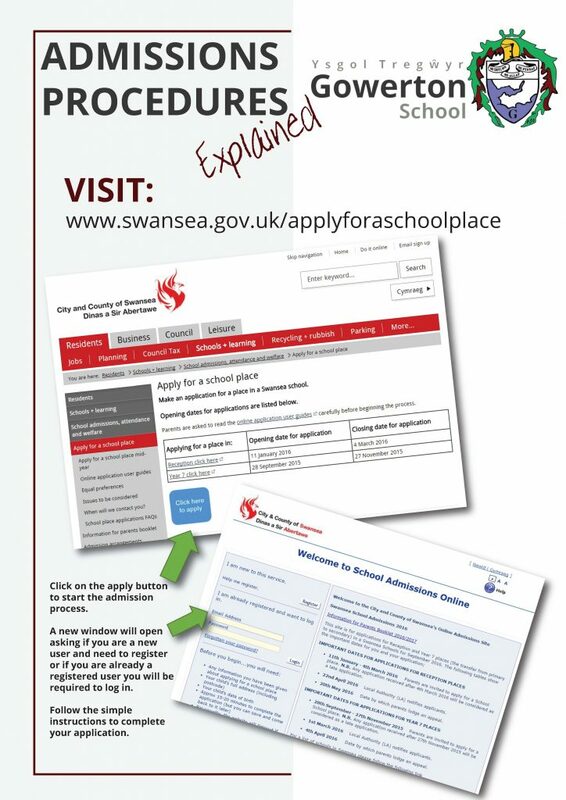 Welcome to Gowerton School’s Transition Page. We hope pupils enjoy watching our latest DVD showing the school and some of the extra curricular opportunities available. For parents we have included the presentation that was shown on our roadshows and open events. Below we have an explanation of the admissions procedure and we wish to highlight that admissions must be made on line between October 8th and November 30th 2018. If you have any difficulties with the admission process please contact us. During the year we will add forthcoming events to this page.